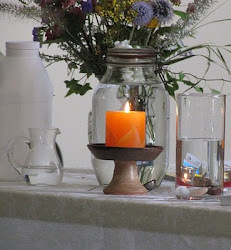 UU A Way Of Life: Today's lesson, number 89, "I am entitled to miracles," and "Let miracles replace all grievances." Today's lesson, number 89, "I am entitled to miracles," and "Let miracles replace all grievances." Today's lesson is number 89 in A Course In Miracles and is a review of lessons 77 and 78 which are: "I am entitled to miracles," and "Let miracles replace all grievnances." The "miracle" in A Course In Miracles is unconditional love. It is what is called in Social Work a "nonjudgmental attitude." This Unconditional love, nonjudgmental attitude, is based on the awareness that we all are part of the Oneness which some call "God" and others call "Tao" or Luke Skywalker called the "Force." 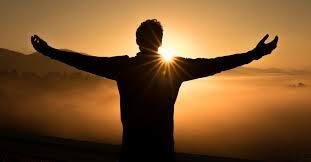 The first lesson, I am entitled to miracles" means that I am an extension of God's unconditional love. It is what I am. It is what Unitarian Univeralists call the "inherent worth and dignity of every person." 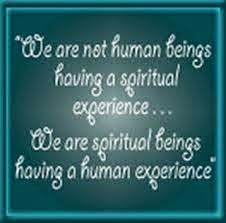 We are entitled to this awareness, which is forgotten, when we walk the path of the ego instead of the path of the spirit. The second lesson, "Let miralces replace all grievances" simply means let unconditional love replace conditional love or let a nonjudgmental attitude replace a judgmental attitude. Our third principle in Unitarian Universalism is the acceptance of one another and encouragement to spiritual growth. You can't give what you don't have. You can't share what you are not aware of. Today, remind yourself that you are entitled to the awareness of unconditional love and this reminder leads to our desire to give up grievances, resentments, anger, guilt, and fear. We are provided with tens of forgiveness opportunities every day. A forgiveness opportunity is the opportunity to give up grievances and experience the miracle.